The premise of Madame Victoria is one every nightly news watcher is familiar with; the discovery of an unidentifiable human skull. The novel is based on the real finding of human remains of a woman in the forest nearby the Royal Victoria Hospital of Montreal. Despite performing DNA tests and creating a forensic reconstruction of her face, the body was never identified. In Catherine Leroux’s book, the skull, named Victoria, is the jump off point of the story. In each short chapter Leroux creates a new life and death for Victoria, exploring how close death is to the acts of everyday living and why it should be treasured, considering that. Its original version was written in French, by Montreal author Leroux. However, this is a review of the English translation, by Lazer Lederhendler. 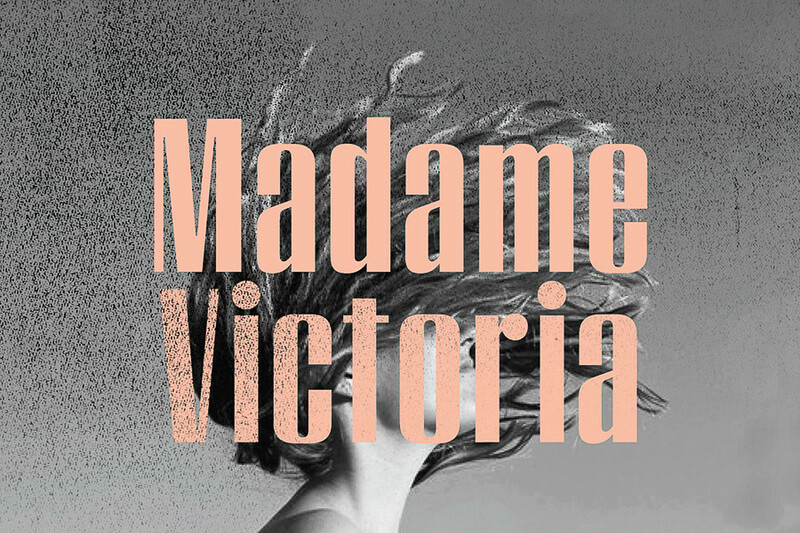 Madame Victoria is an excellent choice for someone who feels intimidated by the thought of committing to reading a novel. It would make a great read to bring on the metro, or in the spare minutes before class or an appointment begins. This is because the overall story is told in a series of small, digestible vignettes with beautiful clear sighted prose. While at first it may not seem as though there is an overarching story, it becomes clear that there was a carefully planned narrative by the end. Death is a significant theme throughout the novel, and the first character introduced is a palliative care nurse—a kindly man named Germain Léon. He is the one to discover the skull in the parking lot of the Royal Victoria Hospital. This is the first instance where the author explores the tenuous boundaries that death, living and the in between touch on. The novel further explores the similarities of life and death, which are often seen as opposites. Madame Victoria will make you want to stop and smell the flowers, as corny as that sounds. Leroux creates different portraits of the potential lives of Victoria. One criticism of the format is that it takes a while for it to become crystal clear that the different sketches of Victoria are wholly unique characters, rather than a continuation of a linear storyline. However there are two characters, an example being Germain Léon, who are given a linear storyline with a sprinkle of character development. That makes it difficult to understand how the different iterations of Victoria should be considered. If that vagueness is a stylistic choice, it doesn’t come through as such. Clarity would have improved the quality rather than leaving the reader with answerless questions. A theme explored in the novel is the woman on the fringes or outside of society. In one of the chapters the whore side of the archetypal virgin/whore dichotomy is highlighted. This story’s Victoria is a happy prostitute, who takes pride in her work and the comfort she is able to give to men. This is in contrast to the common narrative of the prostitute as a miserable beaten down victim who would love to do anything else. While the novel is relatively short at 204 pages, it packs an impressive number of stories into them. This book references so many different genres that there is quite literally something for everyone included in it. The stories that compose Madame Victoria could be categorized as sci-fi, mystery, philosophical existential prose, romance, or mystery. Many of the stories encapsulate more than one genre. One version of Victoria is a teenage mother who ends up mentally ill and homeless after losing her child to what is implied Sudden Infant Death Syndrome. Another Victoria doesn’t start out as a Victoria, but rather becomes her. After leaving her former life as a Russian spy, where she had gone undercover as a woman for a mission, she is prompted to resume the alias in the form of a weekly drag queen act after relocating to Montreal and leaving her life as a spy. The second to last Victoria is the last of an unnamed, possibly prehistoric tribe that was attacked by “the giants with their snake-coloured costumes. Their eyes at once blue and green.” This is an example of how Leroux creates fantastical worlds, that tell the reader they are clearly not situated in reality, in the span of a few sentences. Leroux had many professions before she ended up writing award winning novels, including being a cashier, barmaid, chocolate seller, teacher and journalist. Like the different iterations of the character Victoria in her novel, the different iterations of Leroux’s life have had a mutable, dualistic, multi-faceted quality. Perhaps art imitates life in this case. Each of the Victorias presented in the novel has a unique vocation, if she has one at all. Each chapter is vivid, alive, and the language is at once both creative and descriptive, allowing the reader to enter into a completely new universe, if only for five minutes. This novel will probably not be enjoyable to readers who prefer a linear plotline with clear character develop and a nice, neat climax. The beauty of the story is that it remains slightly vague and artistic, in the sense that some stories seem to exist for the beauty of the prose, or the expression of existential thoughts, rather than to directly drive the (loose) plot of the novel.